This MOC was made specially for the Contest 16*16: Demotivator. I was inspired by the work of Rene Bayer, which was awarded the Pulitzer Prize in 2007 for the "A Mother's Journey". I think that many people were in a situation where they lose the will to live (bereavement, separation from a loved one, plenty of problems, depression, and so on). But in the world there are many people whom are much worse - they are terminally ill, but these people appreciate life and always happy to welcome a new dawn. After all, every passing day - a small victory over death. Wonderful way to get across a very important message. At the first sight - the work sends a powerful impetus to the viewer. When the viewer could to swallow that then the technique comes into play. Skull with skin and cheerful posture of the boy makes a strong impression. 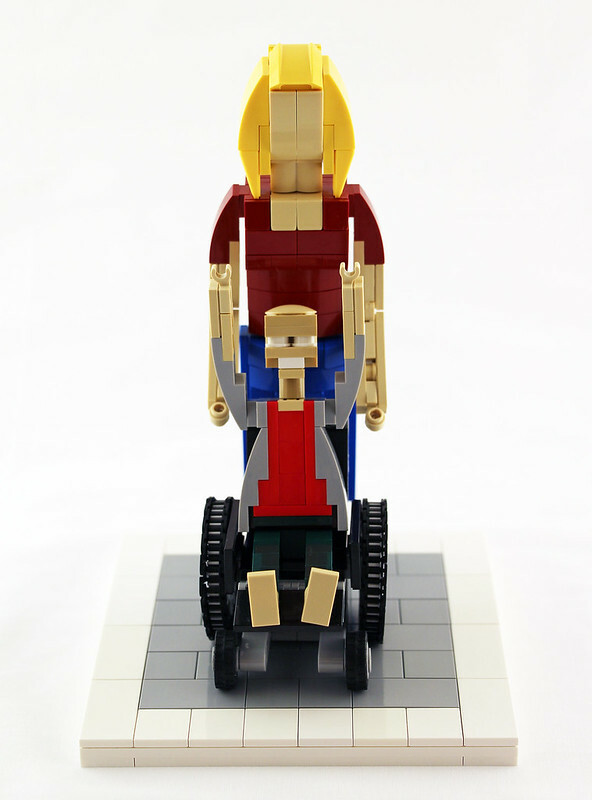 And it’s inspiring too: I just started thinking about building a “social-political” Lego project too. Thats a very good message represented with a great model. Excellent build and a very important message. Congratulations. A win was seldom more deserved. 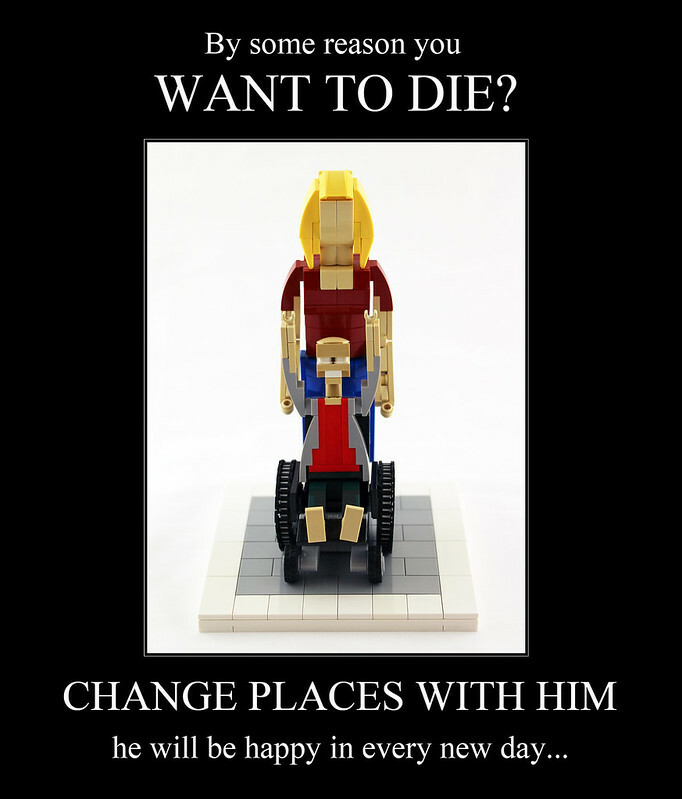 A touching and with a great message moc.